London is the best city in the world. As soon as you surrender to this indisputable fact, then you can set sail on the tide of emotion and information that swells through broadcaster Robert Elms’ new book. First, a confession, or rather a declaration of interest. 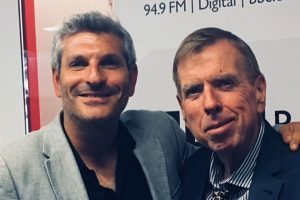 I’ve been the film critic and correspondent for said radio show on BBC Radio London for nearly 20 years, and I’m also lucky enough to be its deputy host, whenever Robert’s away, visiting other places (presumably just to check they’re still not as good as London). So I know the depth of love and pride the listeners and the presenter have for London and its people, for its layers of life. Because that’s what the book’s about more than anything. 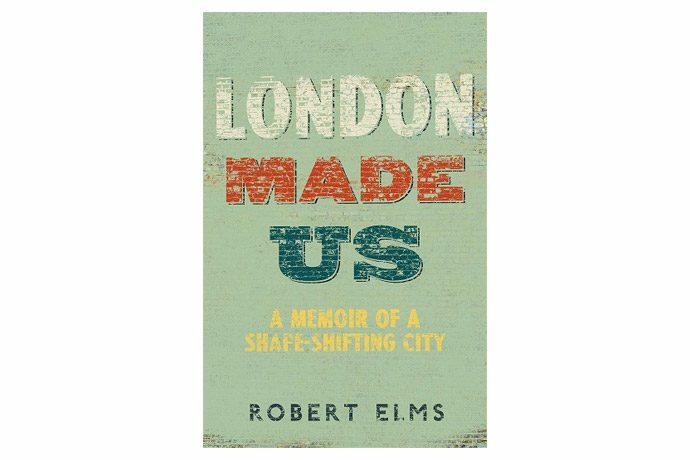 Subtitled ‘A Memoir of a Shape-Shifting City’, it’s about how the city’s rhythms and iterations, its epic sweeps of history and its tiny gradations over time have manifested themselves on the make-up of the Elms family – and, by extension, on us all. Anyone who knows Elms and his show will have noticed a tendency to romanticise the past. But the book slightly distils that notion and has just as much admiration for the present, examining how the city changes to fit each generation, the buildings, streets and people all coalescing to work an equal effect on each other. He’s as fondly excited and worried for his children’s future as he is concerned about the working-class conditions that must have met his ancestor Frederick Elms in 1862 when said workhouse urchin traipsed from Uxbridge and into Notting Hill. Elms examines food, music, fashion, riots, markets, politics, cricket and football, street hawkers and, of course, property. Each topic gets a chapter or a sub-chapter and each chapter meanders like the Thames, twisting within itself, curlicues of poetic prose rising and darting back through time, all through the personal Elms prism. So his memories of London food are about Wimpy bars and the legendary bender sausage, through to the arrival of curry houses and Chinese take-aways in the 70s, Soho brasseries and Conran coupoles and unrepentantly expensive sushi in the 80s, to the panoply of coffee bars and world street foods available now. And it’s about what his Mum would have cooked, boiled and eaten (and would certainly not have eaten), through to his oldest brother’s first tandoori order, to his youngest daughter’s recent vegan conversion. Similarly, the chapter on London movies is about going “Up West” to the Odeon Marble Arch for a treat with his late Dad, a story of getting dressed up, picking up a programme, slurping Kia-Ora, strawberry Mivis, intermissions and the enormity of the screen. But it’s just as much about how that landmark big screen isn’t there anymore. “It’s gorn,” as he says, the only way he knows how to. Things change. As the great picture palaces mutate and wither, so too the old record shops and the long-gone nightclubs, some of which exist only in the mind and memories of those still capable of having them – The Beat Route, The Blitz, Le Kilt, the Limelight, the Wag, Legends, Taboo, the Mudd Club… The book’s full of pop ups, a phrase you’d have thought was familiar to the instant times of now but which, this book proves, has been the way of the city forever. Similarly, he’s ineffably proud of the cultures the city has enabled him to surf – from chicken soup in Blooms in the East End to dim sum in the Chinese community, to the black friends playing him reggae, to the Irish working classness of his school mates and snippets of Romany slang. Accents and accidents abound but what makes this the work of a trained historian – there are plenty of memories of his time as a student at the LSE in the politically-tumultuous 70s – is that Elms delights not just in fripperies of fashion, but in danger and violence. Here are tales of the London fog, legends of murderers, n’er do wells, crooks, shysters and artful dodgers, National Front boot boys, Angry Brigade rioters, dissenters and trouble makers, football hooligans and Saturday night brawlers, people who nicked the World Cup, Oxford Street conmen and subterranean shenanigans. Elms doesn’t elucidate. If you don’t know some of these places or names, he won’t give you as much as an epithet of explanation. Indeed, it’s the sheer agglomeration of detail and nomenclature that gives this very special book its unique depth and timbre. It dazzles as Elms devours his city and all it has to offer the curious. It makes you want to get up, get out and get interested, to take time to smell the city and peer behind the facades, the faces and, ok, even the faeces. London will survive because, as this book demonstrates, much of it never dies. It will live on in place names and tube stations, in typography and geography, in buses at the bottom of the Thames, in signage and signifiers, in culture high and low, in short, in the spirit and soul of its people, the stuff which pours off these pages, elements as seemingly unmanageable and wild as the city they depict.